We probably aren’t the first ones to catch on to the fact that coming up with the 11 best-selling motorcycles of all time can be quite the fiasco. With one letdown after another, we hang our heads as we ignominiously admit that the information needed to put together an accurate list of history’s best-selling motorcycles of all time just isn’t available. Not only does the issue of motorcycle sales statistics being difficult to obtain play a major role in our dilemma, but it didn’t take long for us to understand that even some of the biggest names in motorcycles are owned by third parties (and sometimes their list of owners doesn’t stop there! ); which only makes their sales and production data harder to come by. Since finding concrete sales figures to base our list off of was such an arduous task, we decided to use what little statistics we were able to dig up, and then look a little into the history of these two-wheeled motor vehicles to try to fill in the gaps and get a better feel for what brands have reigned supreme throughout the years. Glancing through the history of motorcycles, we found that many of the most successful names—some of which, still easily succeeding their competitors—even took part in the more nascent stages of these machines. With that being said, their ancestors reveal the modest era from whence they came that are not only laughable in comparison to the beastly machines we have today, but the vast contrast between what was and what now is, often creates conflict when trying to determine who actually produced the first real motorcycle. It began in the year 1867 with a man by the name of Sylvester Howard Roper and his 2-cylinder, steam-powered engine that ran off of coal. Over the span of the next three decades, motorcycles evolved into gas-powered engines on wooden frames and didn’t stop there! By mid 1890’s, engineers such as Nikolaus Otto, Gottlieb Daimler and Wilhelm Maybach, the Hildebrand brothers and Alois Wolfmller, Jules-Albert de Dion and Georges Bouton all had their hand in perfecting what is now known as the internal combustion engine. 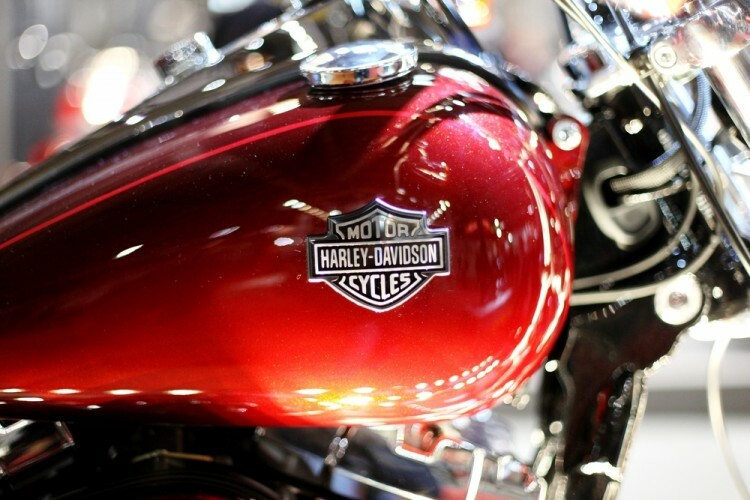 Although a breakthrough in the way engines were made since then, these engines were surprisingly easily assembled and sparked the mass production of motorcycles, thereafter. By the early 1900’s, pre-existing bicycle and automobile companies began to turn their attention to fabricating their own interpretations of these new motor vehicles, and the further advancement of motorcycles eventually spawned a rapid growth of a variety of different brands. However, before the birth of many of these motorcycle manufacturers, WWI and WWII both piqued the interest of the production of motorcycles for war communications, while in turn weeding out the manufacturers that couldn’t compete during the failing economy with their larger, more successful counterparts. Throughout our list of the 11 best-selling motorcycles of all time, we will not only take a look at some of the manufacturers that managed to make it out of these harsh times alive, but some that made the best of it and created a brand that catered to the new needs of the public. One last thing we wanted to be sure to take into consideration when conducting our list was the simple, but often overlooked fact that although some manufacturers might be leading the industry in some regions, doesn’t necessarily make them the all-time best-sellers. In conjunction with focusing on brands that have remained a popular choice across the globe, we realized that while motorcycles tend to be one of the most dangerous forms of transportation, the geographical layout of some regions offers a safer riding environment in addition to simply making them a more practical choice of transportation. If it never occurred to you that your riding habits may be a danger to you depending on the area you live in, you may want to take a quick peek at our list of 10 most dangerous states to ride a motorcycle before proceeding with our 11 best-selling motorcycles of all time.